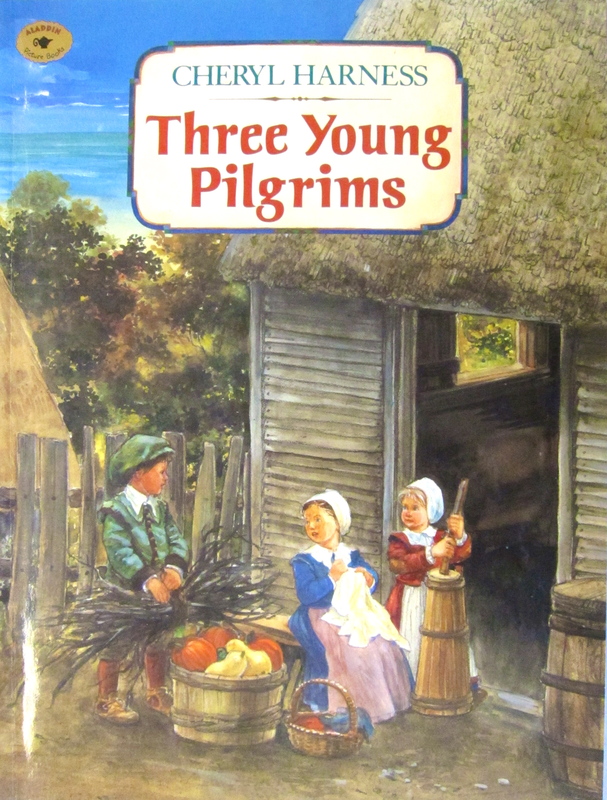 Three Young Pilgrims is a personal account of one family’s pilgrim journey, warm and tender, at points heartbreaking. But it’s strength is the detailed paintings with the wealth of historical information woven into the illustrated material. All around beautifully done. 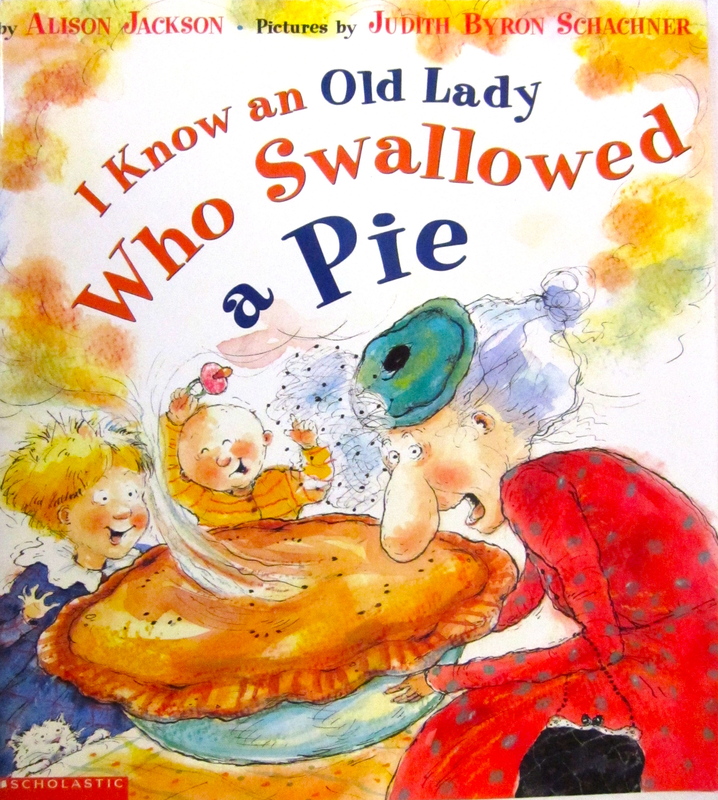 I Know an Old Lady Who Swallowed a Pie follows the mishaps of the old lady who arrives for Thanksgiving dinner only to swallow the entire feast bite by bite until she eventually expands to such enormity that she becomes a balloon in the Macy’s Day Parade– rollicking fun and whimsical illustration. 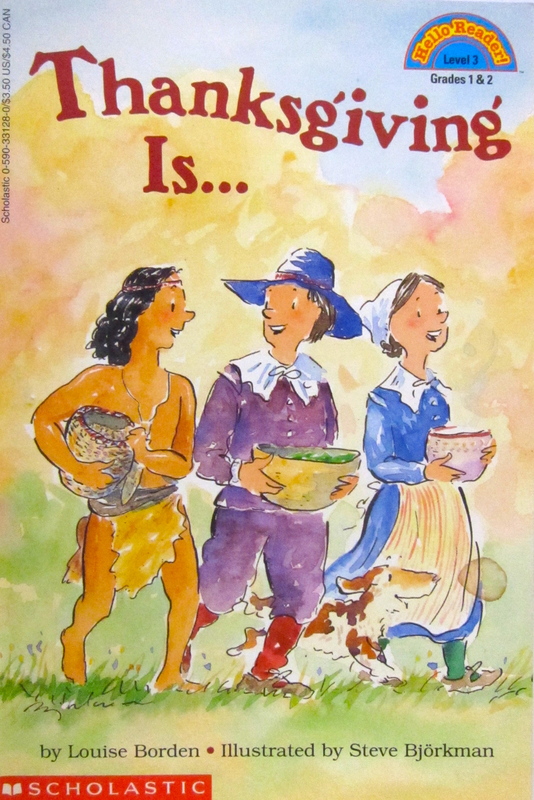 This version of the Thanksgiving story integrates the first Thanksgiving with our current celebration. The text is warm and engaging and the friendly illustrations (love Steve Bjorkman) a big plus. 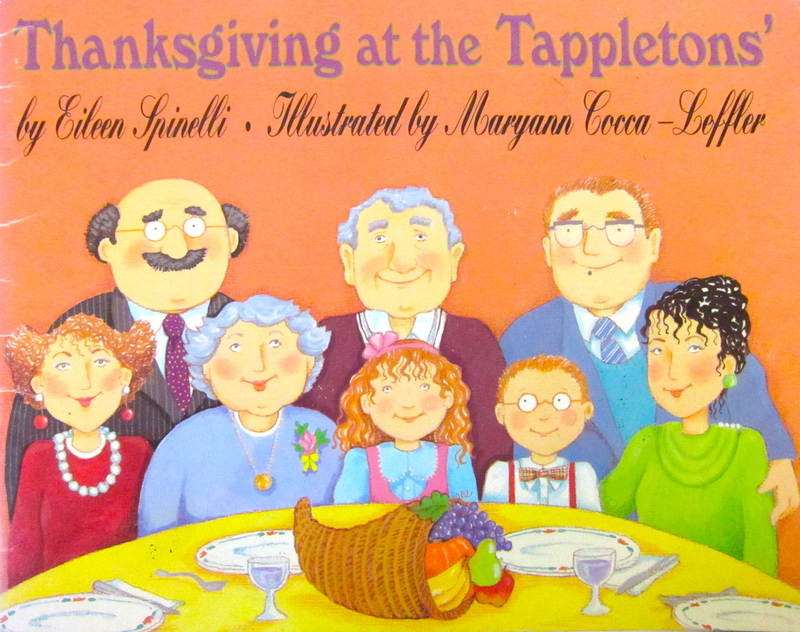 The true spirit of Thanksgiving prevails in the Tappleton home when the Thanksgiving dinner is inadvertently “lost.” Grandma comes through with some wise words of thanksgiving and everyone enjoys liverwurst sandwiches instead. Bright and funny. 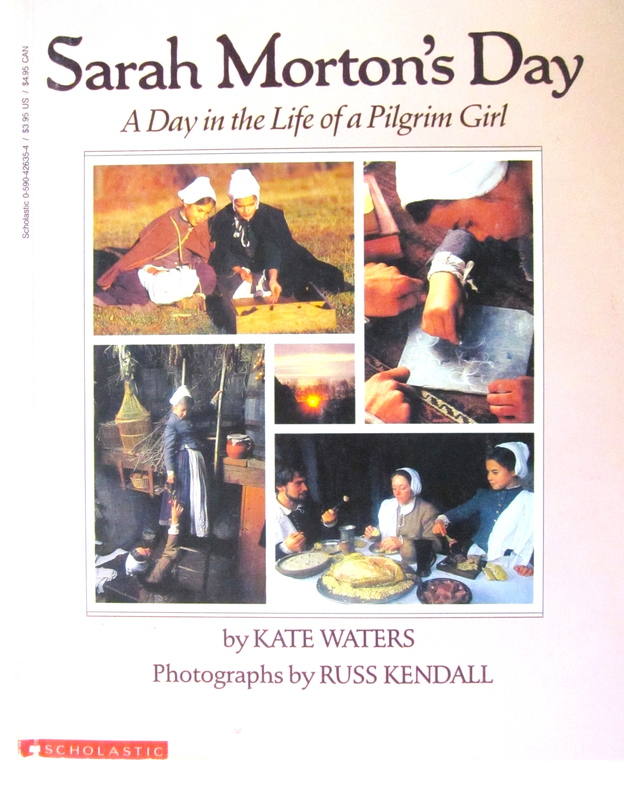 Photographed at the Plymouth plantation museum, this book follows Sarah Morton through a pilgrim girl’s day. It’s a great eye opener for twenty first century kids– Sarah stands and waits while her parent’s eat, then she joins in. Inspires good questions/conversation from my 3rd graders. 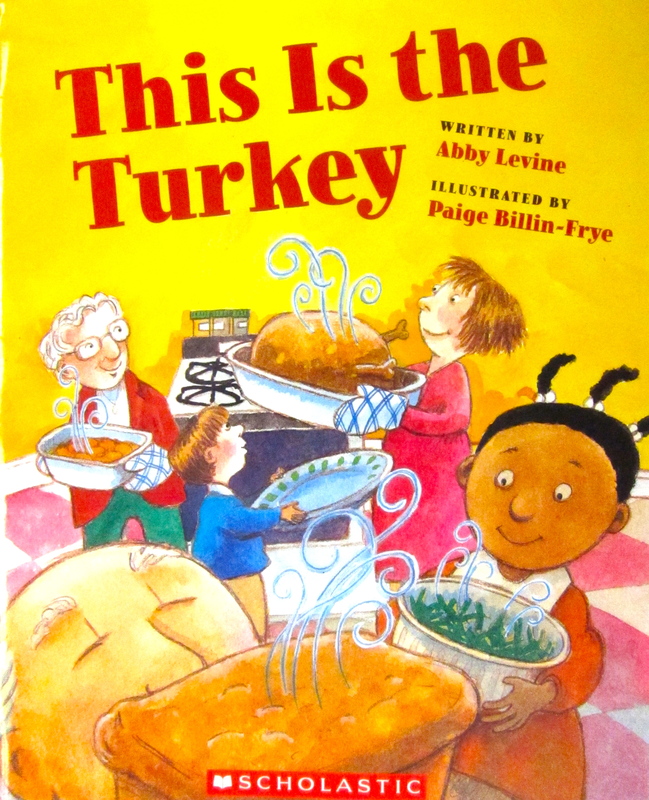 This book is a “This is the house that Jack Built-esque” version of a family’s Thanksgiving dinner is great fun for younger children, bright and lively, lots of rhythm and rhyme. 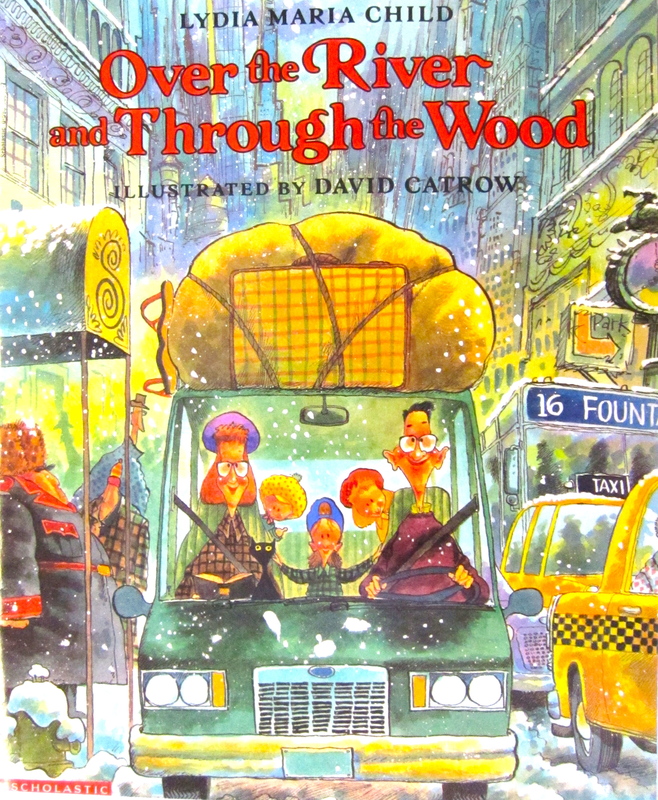 Over the River and Through the Wood pairs the traditional song lyric with a wacky family trip to grandma’s house– unnoticed by parents, the baby is whisked off on a Macy’s parade balloon but all arrive safe and sound. I read this to my student after I’ve read my old faded version of Over the River, the one with the Currier and Ives style illustrations. Entertaining contrast. 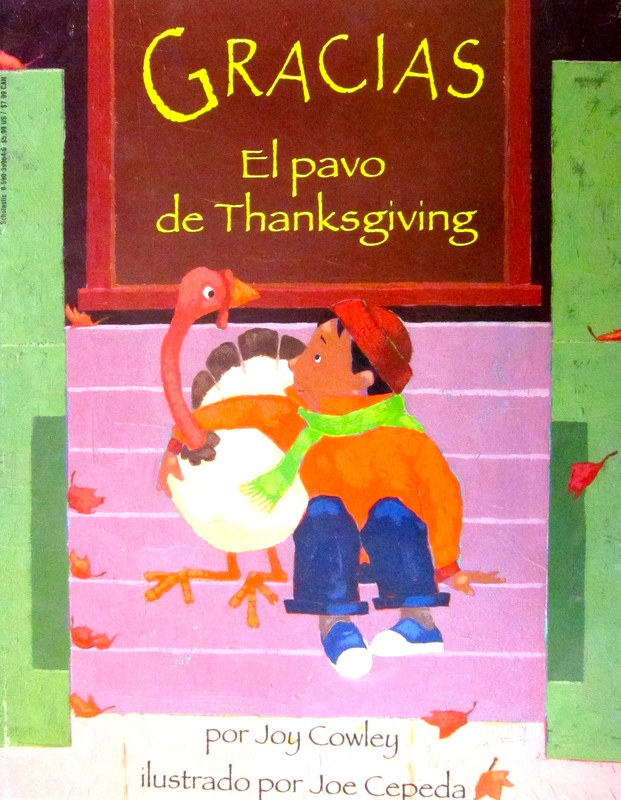 Gracias, the Thanksgiving Turkey (sorry, the book photo is my Spanish copy)– is the story of a city boy who’s family finds themselves with a pet turkey in their small apartment. Will the turkey end up on the Thanksgiving table? Sweet story of a boy and his turkey. 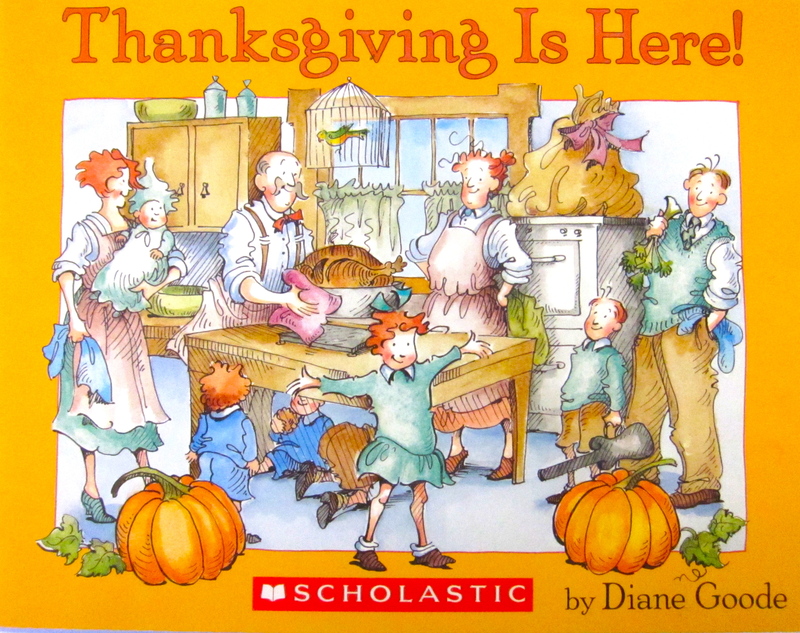 A simple story of the family gathering at Grandma’s house for Thanksgiving dinner, heartwarming story, charming illustration. That’s it. Honestly I could have added more books… If you have children about, I hope this might inspire a little Thanksgiving reading. Have a a truly thankful, warm and wonderful Thanksgiving.